Courtesy of Weichert, Realtors – Courtney Valleywide. Highly upgraded 5 Bedroom 3 bath home on an oversize outside corner lot home with a fabulous resort style pool & backyard. Outside entertainment heaven with 24’x24′ covered patio ready to enclose and engineered for 2nd story or balcony. Fantastic play pool w/upgraded pumps, custom water feature and tile work. Homes has upgraded insulation and SRP Certification. Guest suite with a separate full bath and walk-in closet. Side yard large enough to park an RV or recreational equipment. Too many upgrades to name on this well cared for home! Hands down this is the best home in this desirable and strategically located neighborhood. Directions: Glendale north on 83rd Ave. to State. East to property. Approximate size: 19202.00 sq. ft. Please, send me more information on this property: MLS# 5904317 – $395,000 – 8222 W State Avenue, Glendale, AZ 85303. 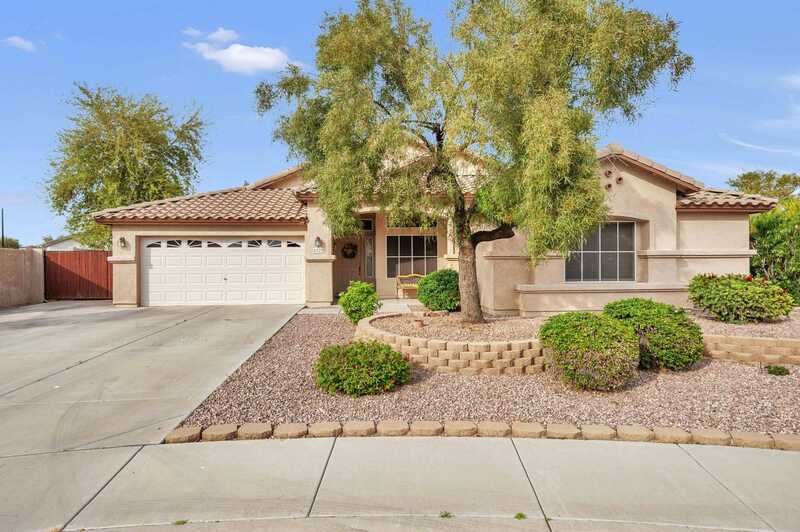 I would like to schedule a showing appointment for this property: MLS# 5904317 – $395,000 – 8222 W State Avenue, Glendale, AZ 85303.